Cannibal Cookery. 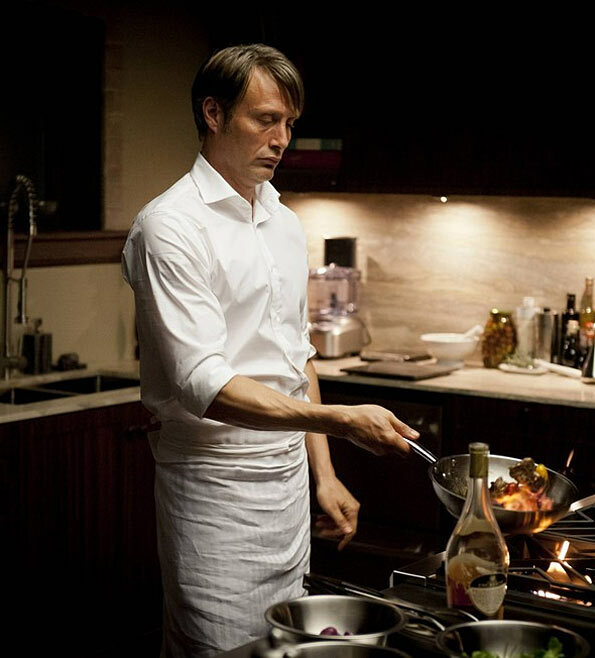 TV's Dr. Hannibal Lecter (Mads Mikkelsen) prepares some of his special delicacies in the cocina. Wallpaper and background images in the hannibal serie de televisión club tagged: hannibal nbc tv show dr. lecter hannibal lecter mads mikkelsen cannibal food preparation photo. This hannibal serie de televisión photo might contain cocina, pequeño restaurante, and bistro.